So I've been seeing this list everywhere, like at Wicked Wonderful Words and Chasing Bawa and I love lists, so I couldn't resist. The BBC believes most people will have only read 6 of the 100 books here. How incredibly depressing is that? Put an 'x' after those you have read. Unless I counted wrong, I've read 71.75 (I'm counting the 3/4 of Shakespeare's complete works that I've read). Green’s latest is an overlapping tale of a few women. Callie is a cancer survivor and a mother or two with loving, workaholic husband. Her sister Steffi is living with her rocker boyfriend and working as a vegan chef. Callie’s best friend Lila is an average looking girl who almost got married out of a sense of obligation, but backed out at the last minute. Now, at 42, she’s finally in love. Despite the surface summary, the plot takes a darker turn than many of Green’s previous novels, which gives it a bit more depth. I didn’t love this book because there were far too many different stories being woven together. We hear bits and pieces from the point-of-view of the two sisters, their mother, their single father, their friend Lila, a customer of Steffi’s, etc. Steffi’s subplot with her customer/friend Mason could easily have been axed. Also, the friend Lila’s decision to have or not have kids added little to the story. It’s not that the subplots are bad, they’re just distracting. Green also adds a recipe at the end of each chapter and that got old after a bit. It isn’t a cookbook and wasn’t really necessary. 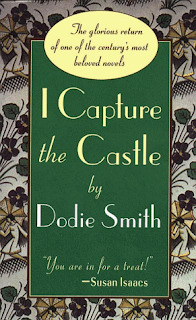 Towards the second half of the book we realize that Callie’s cancer has relapsed and the book finds its much need focus. That line is what told me Green experienced this loss, somehow, in her own life. I know those dreams and have had them too many times. You wake, completely forgetting that person is gone, and slowly the memory of their death creeps into your consciousness and breaks your heart all over again. I found out later that Green lost a close friend to this rare form of breast cancer and this book was born of that grief. I hope you all have a wonderful Thanksgiving and I'll be back on Monday. When I was young I wanted to be an author and a vet when I grew up. Knowing this, my parents introduced me to the writing of James Herriot, who was both. 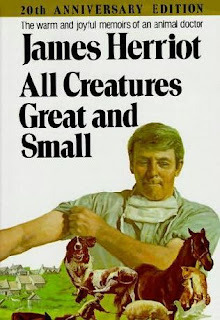 Later I decided that having to fiddle with animal innards everyday is not the same as owning pets and I veered more towards the writing side of my ambitions, but it never affected my love for Herriot’s writing. I’d already read his collections, Dog Stories, Animal Stories and Cat Stories and some of the tales in those volumes are drawn from this book. 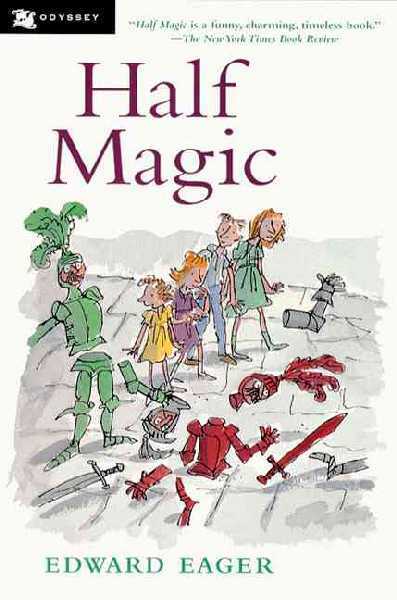 But they’re such sweet tales that it was a pleasure to re-read them. 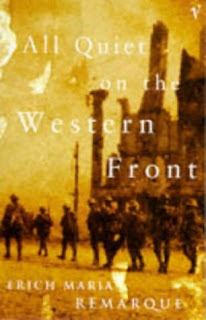 This memoir, the first in the series, introduces us to James Herriot, a Scottish vet working in rural England in the first half of the 20th century. His writing has a wonderful warm feeling. He can find the humor in any situation, while at the same time understanding the seriousness of others. He manages to portray the bittersweet nature of his job with an admirable sincerity, never deriding his clients’ love of their animals and treating each case with the utmost importance. 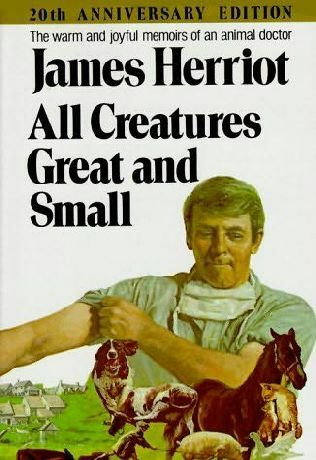 I love reading Herriot’s funny stories about his early days as a vet. Each one is told with a dry British sense of humor. Some of them are a bit too detailed (talking about the animal procedures) and make me squeamish, but that’s to be expected and it’s always relevant info. His descriptions of the stoic farmers and eccentric partners are a constant source of amusement throughout the book. 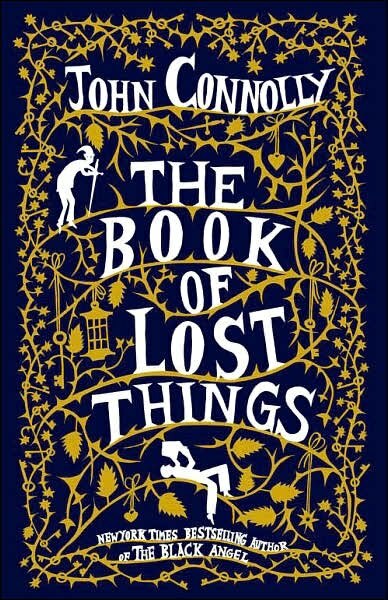 I found myself wishing that the book wouldn’t end, which is a rare thing. 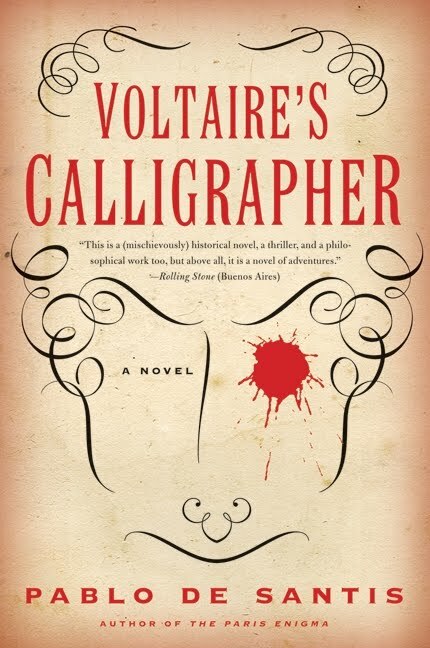 Dalessius is a 20-year-old calligrapher who ends up working for the philosopher Voltaire in France during the Enlightenment. Interesting enough premise, but the plot never found its pace for me. It felt disjointed and confusing. There are automatons, secret messages written on naked women, a heart in a jar and other intriguing concepts, but they never mesh into a cohesive story. The book is only 150 pages and yet it felt like it was much longer. I found myself never wanting to pick it up and I can’t help but wonder if something was lost in translation. Maybe the plot makes more sense in its native language. 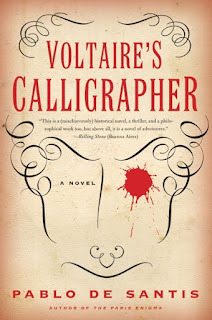 I received a complimentary copy of Voltaire’s Calligrapher by Pablo De Santis from Regal Literary to review. That is undoubtedly one of the best opening lines in history. It’s simple, beautiful and so complex once you realize what they are burning. For me, Fahrenheit 451 was one of those rare books that shook me to my core. I had read Orwell’s 1984 and Huxley’s Brave New World, but this dystopia was so much more terrifying to me. 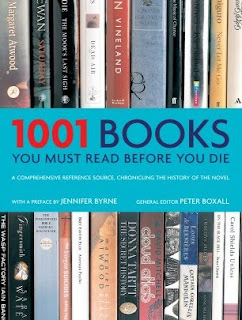 It shows a world in which books were illegal paraphernalia and owning them was cause for death. Our hero, Guy Montag, is a firefighter, but in this future reality firefighters are the ones who start the blaze, not put it out. They are employed to find and burn books and Montag never questions his profession. Then one night he meets a girl who changes everything for him. She’s not empty and cold like his wife. 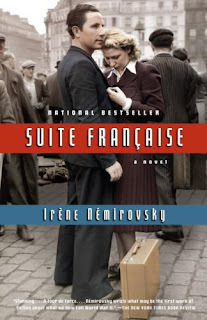 She sparks some bit of life in Montag and he begins to question the world around him. The most disturbing aspect of the plot is that the people chose to stop reading books, no one forced them. They became obsessed with television and books take too much time and effort. It’s a bit too close to our current reality for comfort. 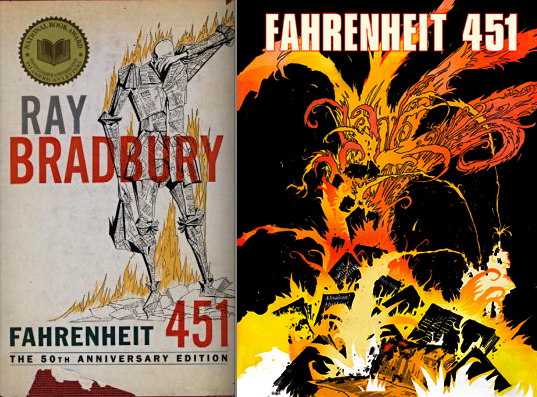 My favorite part of Fahrenheit 451 is the brilliance of how Bradbury decided to preserve books that must be burned. The characters themselves become the books. 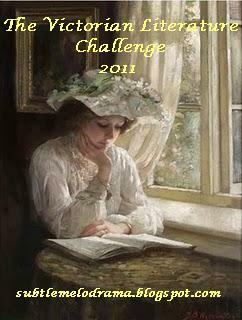 Individuals all over the world memorized and entire novel or book in the Bible and through them the book was kept alive. 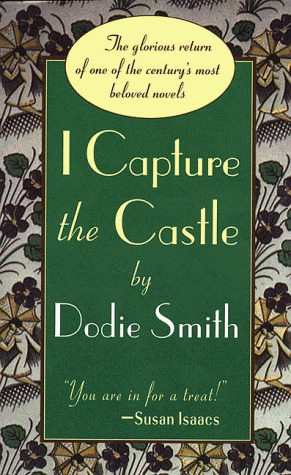 If you’ve never read this classic I would encourage every book lover to pick it up. 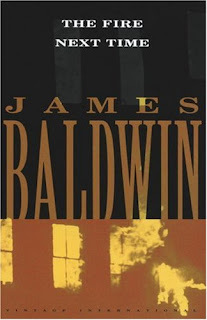 It’s less than 200 pages, but it packs such a powerful punch that it remains one of my favorite books of all-time. I recently read the graphic novelization of this book and it was wonderful. The illustrations are done in vivid shades of orange and red throughout much of the book, bringing the fire to life on each page. 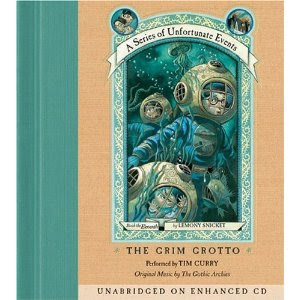 The graphic novel pays close attention to the details and portrayed the story beautifully. I would recommend reading the actual novel first, so you can create the world in your own imagination first, but the graphic novel is a wonderful treat for those who are familiar with the book. Dr. Montague is a scientist attempting to prove the supernatural exists. To further his study he invites a small group of people to summer at Hill House, which is supposedly haunted. The invitation is accepted by Eleanor, a socially awkward, nervous woman and Theo, an outgoing beauty. Luke, who will one day inherit the house, also joins the gathering. Soon things start happening and all four people wonder what they’ve gotten themselves into. 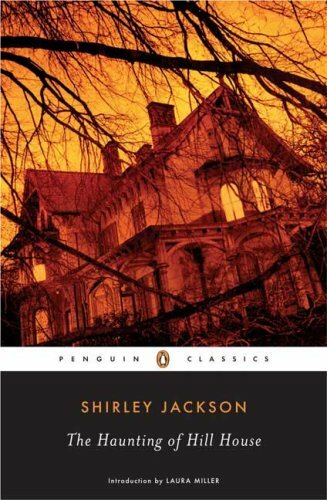 Jackson’s ghost story has a similar feel to Henry James’ Turning of the Screw and Sarah Waters’ The Little Stranger. You know things are happening in the house, but you don’t know for sure whether it’s the inhabitants madness or ghosts or a combination of both. Eleanor, who is the focus of the book, seems to have a predisposition to mental instability. She’s insecure and temperamental, a bit like a child. 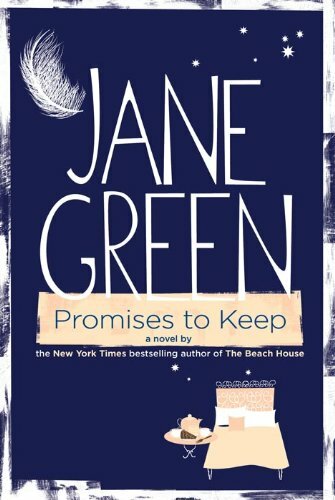 Her issues give the whole book and extra layer of creepiness and desperation. Side Note: About 20 pages into the book I realized that the 1999 movie “The Haunting” was clearly based on it. I also watched the original film, also titled “The Haunting” after finishing the book. The older version stays much closer to the book and the spookiness factor is high. The movie “The House on Haunted Hill” actually has nothing to do with this book. Jenna is a 17-year –old who wakes up after an 18 month coma. 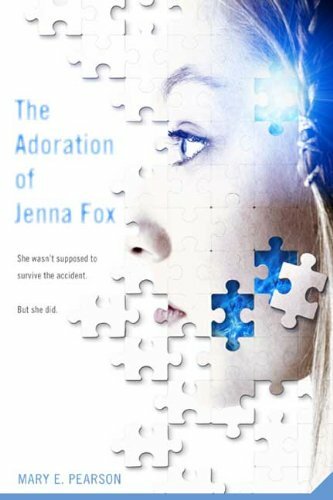 Slowly her memories begin to return and some disturbing truths are revealed. 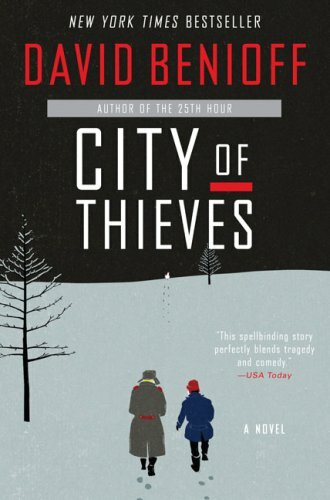 This dystopian novel deals mainly with science vs. ethics and is hard to put down. 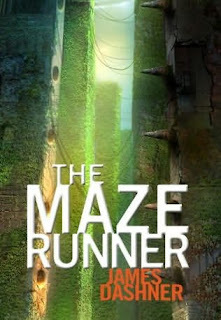 I love dystopian novels. Some of my favorite books fall into this category. I love how truths of human nature are often revealed in these stories and the fact that they’re never very far from our current reality. Writing a book set in a future or parallel world gives the author the freedom to explore touchy issues in an abstract way. In dystopian novels the line between good and bad is always blurred, it is an exploration of gray in a way that shows just how black and white things often are (if that makes any sense.) The bad guys always have a perfectly reasonable explanation for all the choices they’ve made. Sometimes they even make some convincing arguments, but then you remember what they’ve done and you’re horrified that you even considered siding with them for an instant. For example, in Fahrenheit 451 they burn books, in The Giver they have forced euthanasia, in The Hunger Games it’s the slaughter of children for entertainment. 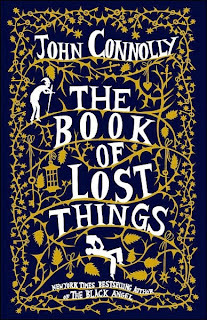 Though I was completely swept away by this book at first, it seemed to unravel a bit in the second half. I don’t think Pearson knew what point she was trying to make. 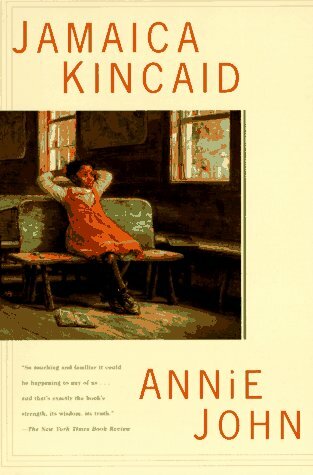 It was like she was using the book as a platform to discuss the issue and in the first half she brought up some chilling points, then in the second half she seemed to just waffle back and forth on whether she thought it was right or wrong. My favorite part of the whole book is the character of Lily, Jenna’s grandma. She is the grounding factor for me, the one I can relate to. She’s in the story, but she isn’t the one who has made any of the decisions, so she can be a bit more objective. 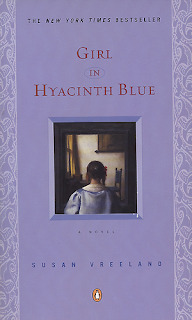 The inspiration for this book was born out of Pearson’s own experiences. Her eldest daughter was diagnosed with cancer, then a few years later her youngest daughter was diagnosed with the same cancer. 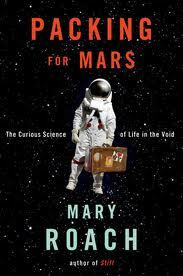 Those traumatic events led her to explore the question of science vs. ethics and wonder how far a parent would be willing to go to save their child. It’s a fascinating exploration, but she didn’t seem to be able to answer her own question. It’s definitely worth reading, but some elements are far-fetched and it seems to really have to reach to wrap everything up at the end. I do think this would be a fun one to discuss in a book club. Fluttering Butterflies has a great review here. 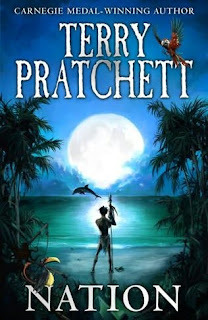 This was my first experience with Pratchett and it will not be my last. After hearing about him for years, I decided I just had to read something of his. Nymeth at Things Mean A Lot is a big Pratchett fan and was kind enough to suggest Nation as a good place to start. It took me a minute to get into the book. I wasn’t sure what to expect and at first I wasn’t sure what to make of the story. It centers on Maw, the only survivor of the Nation, which is destroyed by a tsunami. He is left alone, disconnected from all he has ever known and he’s at once filled with grief, confusion and anger. He turns to the Nation’s gods for answers and is left feeling more lost than ever. The plot really picks up when we meet Daphne (really Ermintrude, but she hates that name, so she says her name is Daphne.) She is a British girl whose ship has crashed on the island. Her relationship with Maw reminded me so much of Peter Pan and Wendy. She’s prim and proper at first and he is baffled by her ways, but soon they find a balance and develop a wonderful friendship. The best parts of the book, for me, were the interactions between those two. Once they moved past their initial impressions they realized they could learn so much from one another. I also loved seeing Daphne gain confidence in herself. She was such a great character; part girl, part woman, trying to come to terms with her own grief and grow up at the same time. With absolutely no spoilers included I do want to say how much I loved the ending. The characters grew on me throughout the book and by the end I felt so invested in them. 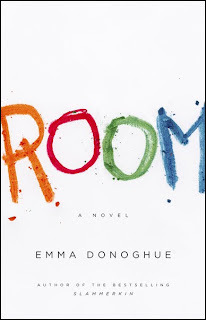 The ending definitely increased my rating of the book and my overall love of it. So if it feels slow at first, definitely give it time. I have to say I was really impressed with Pratchett. He has a similar writing style to Neil Gaiman (whom I adore) and the delightful sense of humor of Douglas Adams. So clearly he’s destined to become a favorite. 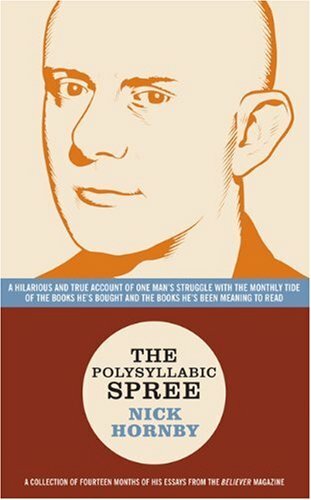 He also manages to balance humor and a deeper message, which I really value in an author. I think that can be a hard thing to accomplish and he seemed to do it effortlessly. At first I didn’t even realize he had slipped such important issues into the fold of the story, but once I did I was really moved by the points-of-view he brings up. I’m looking forward to trying out his Discworld series, which I’ve heard is great. 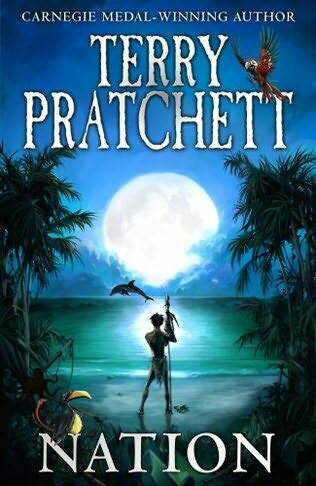 Any other Pratchett suggestions from fans of his out there? Here's another great review at Chasing Bawa.